Google Ads is one of the most popular online advertising options available today. Almost every business has at one point or another tried using it to drive more sales. While the Google Ads platform seems very simple to use, there are many intricacies involved in using it profitably. We often see beginners and advanced advertisers make the same mistakes over and over again and that’s why today we’ve decided to talk about the nine most common Google Ads campaign mistakes you need to stop making. One of the biggest mistakes you can make when designing your Google Ads campaigns is to not perform thorough keyword research. You can’t guess what people are searching for or what queries they’re using. It’s crucial that you use Google’s Keyword Planner tool or other keyword research tools to research and find the right keywords for your business. Manual CPC - Frequently used by advanced advertisers, manual CPC gives you more control over your bidding. It’s best suited for long-term campaigns. Enhanced CPC - Allows you to get the most clicks for the lowest price possible. It’s best used with short-term campaigns. Target CPA - Tries to get the most conversions possible at the cost-per-acquisition price you set. 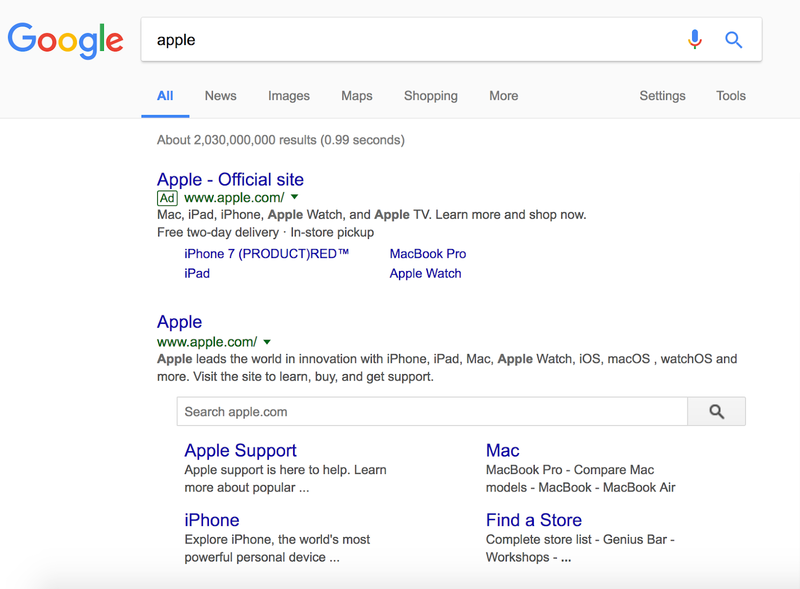 Ad extensions are additional pieces of information that you can include with your ad to make it stand out from the rest. They can help your visitors navigate your website faster. Extensions can also be very effective in increasing your ad’s clickthrough rate by making your ad take up more screen real estate. You can use ad extensions to link to different pages on your website, show your business address and hours of operation, your phone number, product or service price, as well as highlight promotions. 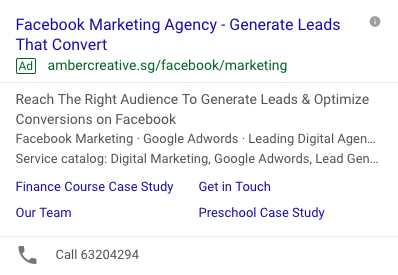 Google Ads’ Experiments feature enables you to run A/B tests on different sets of landing pages, ad copy, keywords, and other variables to find the best-performing version of a specific variable of your campaign. When using Experiments, you have the option of setting the exact amount of traffic you’d like to send to each experiment. This allows you to set a limit on the amount of ad budget you’d like to spend on testing. Plenty of advertisers spend all their time perfecting their ad copy but neglect to pay attention to their landing page. Apart from having a significant influence on your overall conversion rate, your landing page also affects your ad’s Quality Score. Having a low Quality Score can reduce the visibility of your ads. Fast - Research shows that 53% of mobile visitors leave a website if it doesn’t load in under 3 seconds so it’s crucial that you make sure your landing page loads as fast as possible. Optimized for mobile - More than 60% of online searches are performed using mobile devices so make sure to optimize your landing page for smartphone and tablet users. Good-looking - A good-looking, functional landing page, along with being easier on the eyes, also helps visitors make decisions faster. A poor choice of keywords can greatly affect the overall outcome of your Google Ads campaign. The most common keyword-related mistakes advertisers make are using too many keywords, not using negative keywords, and failing to bid on brand keywords. It can be tempting to use a lot of keywords when you’re creating your campaign. This often results in advertisers bidding on too many generic, irrelevant keywords and wasting their ad budget in the process. Not using negative keywords in your Google Ads campaign can result in your ads appearing on irrelevant searches. 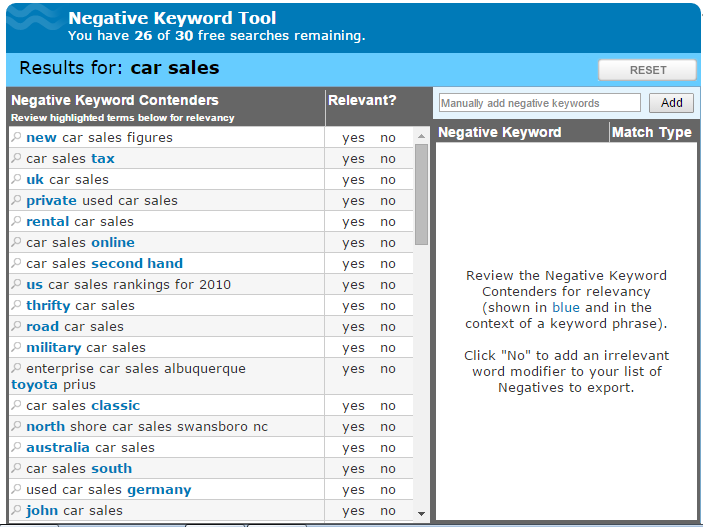 It’s imperative that you use negative keywords to save on advertising costs. You should always be bidding on your brand keywords. If you don’t do it, your competitors will. Broad keyword match is the default keyword matching option offered in Google Ads. Using it will make your ads appear on any searches that include your keyword. This can significantly increase your CPC and make you spend your budget a lot faster. For best results, you should use a combination of broad, phrase, and exact match keywords. If you’ve been using your Google Ads account for a long time and have neglected to update your conversion setups, this might be affecting how well you can track and optimize your campaigns. You need to decide which actions you want to track and which of those should be counted as conversions. It’s also important to choose a single method (e.g., Google Ads tag or Google Analytics import) of tracking to avoid double counting. Most advertisers don’t put a lot of thought into which landing page they should use as the target for their ad and frequently send visitors to their homepage instead of a landing page specifically optimized for the offer they’re promoting. Doing this can significantly reduce your conversion rate. Lack of keywords in ad copy - You need to make it clear to visitors what they can expect to see after clicking on your ad. One way of doing this is to use your keywords in the ad title as well as the description. Not using a call-to-action in your ad copy - Including a call-to-action in your ad copy tells the user what they need to do next and can significantly improve your ad’s click-through rate. If used properly, Google Ads can be a very profitable platform for advertising your business. Make sure not to make the mistakes we outlined in this blog post, and you’ll be able to decrease your CPC, increase conversions, and make the most out of your ad budget. Do you need help with writing ad copy? Get in touch with our copywriting experts and we’ll craft the perfect copy for your next ad!